We’d love your help. 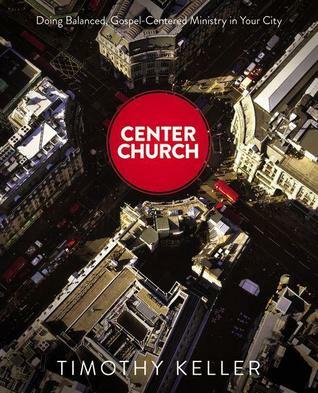 Let us know what’s wrong with this preview of Center Church by Timothy J. Keller. *Gospel-centered: The gospel of grace in Jesus Christ changes everything, from our hearts to our community to the world. It completely reshapes the content, tone and strategy of all that we do. *City-centered: With a positive approach toward our culture, we learn to affirm that cities are wonderful, strategic and underserved places for gospel ministry. To ask other readers questions about Center Church, please sign up. One of the best books I've read on pastoral ministry. One of Keller's best. Okay, I know what you're saying: "So you too have drunk the Keller Kool-aid?" Yes. Yes, I have. And quite frankly, haters are going to hate. Keller's been in ministry 30+ years, has a relentless understanding and passion for Jesus and the gospel, and is incredibly insightful in connecting the culture's plotlines with the ultimate Story of Jesus in showing how He ultimately fulfills what our hearts and communities long fo One of the best books I've read on pastoral ministry. One of Keller's best. Okay, I know what you're saying: "So you too have drunk the Keller Kool-aid?" Yes. Yes, I have. And quite frankly, haters are going to hate. Keller's been in ministry 30+ years, has a relentless understanding and passion for Jesus and the gospel, and is incredibly insightful in connecting the culture's plotlines with the ultimate Story of Jesus in showing how He ultimately fulfills what our hearts and communities long for. If you dislike that, then shoot me a message and I will pray for you. It's impossible to summarize all the wisdom offered in Center Church. It consists of basically three parts. In Part 1, Keller unpacks the gospel as neither religion, nor irreligion, but an entirely third way of relating to God through grace. In this section, Keller basically unpacks the bottomless riches of Christ's person and work with direct application to individual and corporate living. If the gospel is preached truthfully, winsomely, lovingly, and contextually, then we should be looking for gospel renewal in our churches and communities, precisely because the Spirit has promised to bless gospel preaching. Part 2 is Keller's argument for contextualization. The city is a mixed bag, with the potential for human flourishing and idolatry. As gospel ministers we must appreciate the truth we find in culture, but also challenge our culture with God's Word. Here is where Keller does his mini-biblical theology on the city, and demonstrates wisely the importance of cities in spreading the gospel. Part 3 gets into more ecclesiology proper. The church is both an institution and movement, an organization and organism. Keller unpacks what he sees as five ministry fronts (connecting people to God, to one another, to the city, to the culture, and church planting) which all coalesce in his final chapter on the city and the gospel ecosystem (it will blow your mind). I finally finished this behemoth of a book! :). It really was a good read and I recommend it to church leaders. In fact, I bought 8 copies and plan on walking chapter by chapter through the book with my 4 staff guys and 3 interns starting this April. It'll take us the rest of the year to complete. I'm not doing this because I agree with every concept in the book but because the concepts in the book are worth discussing and comparing to scripture. So many things Keller said were amazingly thoughtf I finally finished this behemoth of a book! :). What to say about this book? Keller is thoughtful and engaging. At the same time, I've rarely had the experience of thinking--that's a really helpful observation, but.... so many times in one book. Keller shines in explaining how he engages with secular unbelievers in intellectual, edgy New York. His analyses of the different arms of the missional movement and Christian approaches to cultural engagement is excellent, and really useful. I have two overall general critiques of the book. First, Kelle What to say about this book? Keller is thoughtful and engaging. At the same time, I've rarely had the experience of thinking--that's a really helpful observation, but.... so many times in one book. I have two overall general critiques of the book. First, Keller seems to give just a little too much importance to understanding the culture in order to do faithful ministry. That is certainly important, and I appreciate what he is arguing against, but often in the book I was left with a sense that culture should determine the content of our message (i.e. Which scriptural truths should be emphasized overall) not just how we communicate it in a way that could easily allow churches to feel good about neglecting truths that Christ gave his church (or maybe emphasizing those most palatable rather than the ones the culture actually most needs to hear. Second, Keller's discussion of movements, and the justification for church planting is troubling to me in a way that is difficult to put a finger on. Part of it is where his argument for the strategic nature of church planting over seeking to renew existing churches seems based on unproven assumptions and sloppy statistics. And part of it is simply the felt emphasis on the church is about outward work, with very little said about the church's duty to care for and nurture Christians. Even as I write that, though, I'm thinking of parts where Keller does address the need for equipping saints for ministry, so again, it's not a matter of what's said being wrong, but a matter of emphasis and maybe what's not said. I wonder if some of this is a consequence of this book being adapted from lectures. I have aligned (and again) myself with the missional emphasis in reformed theology and I have also been critical elsewhere (and again). I also recommended highly Kevin DeYoung’s What is the Mission of the Church? (buy) for a balanced critique of the missional movement. While stressing the importance of good works as fruit of our faith, DeYoung is clearly outside of the missional camp. Now I will recommend Keller’s Center Church which also stresses the importance of good works as fruit of our fai I have aligned (and again) myself with the missional emphasis in reformed theology and I have also been critical elsewhere (and again). I also recommended highly Kevin DeYoung’s What is the Mission of the Church? (buy) for a balanced critique of the missional movement. While stressing the importance of good works as fruit of our faith, DeYoung is clearly outside of the missional camp. 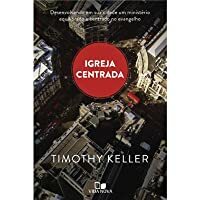 Now I will recommend Keller’s Center Church which also stresses the importance of good works as fruit of our faith, Keller though is clearly inside the missional camp. Many areas of concern in missional theology are balanced and corrected in Keller’s Center Church. Even those who are not missional-minded would be served well by Keller (even if you might find his discussion of the importance of city and other items disproportionate). I usually don’t note formatting but the format for Center Church is different so worth noting. It’s a slightly larger page layout. This, I assume, is partly because it’s laid-out in double columns. Graphics, tables, and sidebars are frequent. It almost had a textbook-like quality (preview book’s format). And it’s a robust 400+ pages. Section 1 discusses gospel theology and renewal. Section 2 argues for the importance of gospeling in cities/cultural centers. He aligns contextualization with the gospel and ends this section with a discussion of biblical cultural engagement. Section 3 moves into missional theology focusing on community, integrative ministries, & movement dynamics (cooperation with other gospel churches in our cities). He begins with a lengthy discussion of the gospel and establishes the thematic and structure of Center Church early. So many topics could be discussed. I want to highlight a few strengths in Center Church. First, Keller’s expansion of D. A. Carson’s “The Biblical Gospel” (download the PDF) was enlightening (pp. 38-42). Keller discusses major themes of the Bible and their interconnectedness with gospeling. For example, he examines the themes of home/exile, YAHWEH/covenant, & kingdom relating each to the questions of creation, sin, Israel, Jesus, and restoration. Such balance was struck in this discussion. Everyone seeking to enter the fray in the current scuffle over what is the gospel should read the Carson article and then Keller’s section. He also realizes the dangers in contextualization and fights against those abuses (pp. 92-93, 103-105, 119-120). For instance, he points out one mistake: some make the bible and culture equal authorities. This is especially pertinent in our current cultural climate. Also, his explanation of engaging unbeliever’s worldviews was instructive. To enter a culture, another main task is to discern its dominant worldviews or belief systems, because contextualized gospel ministry should affirm the beliefs of the culture wherever it can be done with integrity. When we enter a culture, we should be looking for two kinds of beliefs. The first are what I call “A” beliefs, which are beliefs people already hold that, because of God’s common grace, roughly correspond to some parts of biblical teaching. Because of their “A” beliefs, people are predisposed to find plausible some of the Bible’s teaching (which we may call “A” doctrines). However, we will also find “B” beliefs — what may be called “defeater” beliefs — beliefs of the culture that lead listeners to find some Christian doctrines implausible or overtly of fensive. “B” beliefs contradict Christian truth directly at points we may call “B” doctrines. (p. 123; pp. 123-132). I had never thought about engaging people’s worldview in this way but it made perfect sense. Putting this into practice would go along way in not over-contextualizing (see seeker sensitive) or under-contextualizing (see fundamentalism). My only “major” criticism (if you can call it that) would be Keller seems to over emphasize the importance of cities in the spread of the gospel. His exegesis of cities in the Bible and cities in our sense seems conflated. I don’t know if our sense of cities, suburb, and country are found easily in the biblical text. There are other minor disagreements you might find like in any book you didn’t write but nothing worthy of mention. Center Church will be helpful in establishing gospel churches which engage the culture for years to come. This book could easily become a standard work in its field. Anyone interested in missional theology, contextualization, or ecclesiology should check it out. Also, the layout and design lend itself to discussion within a small group. Each section is broken up into much smaller chapters and each chapter ends with questions. Pastors and small groups could easily use this book as a jumping point to refocus the church on the gospel and biblical engagement with the culture. I read this book on the recommendation of a friend and colleague in the Holy Ministry. Although it is from outside of my own confession and communion (the author is a Presbyterian), I found the book to be thoughtful and thought-provoking, insightful and well-written. 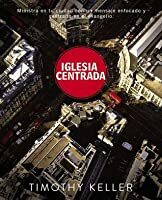 His treatment of the role of cities in the modern world, and his engagement of various theories of and approaches to ecclesiology and evangelism, were informative and helpful. I appreciated his balanced and even-handed discussion of I read this book on the recommendation of a friend and colleague in the Holy Ministry. Although it is from outside of my own confession and communion (the author is a Presbyterian), I found the book to be thoughtful and thought-provoking, insightful and well-written. His treatment of the role of cities in the modern world, and his engagement of various theories of and approaches to ecclesiology and evangelism, were informative and helpful. I appreciated his balanced and even-handed discussion of divergent views, and his serious consideration of past and present positions. The tone or demeanor of his discussion resonated with me. With all of that, I was struck by the absence of any sacramental sense of the Church's faith and life. The author certainly referenced the Sacraments, at times, almost always in passing and in the context of the typical "Word and Sacrament" cliche'. But what I mean to say, is that the Sacraments simply do not function for Keller as the decisive, definitive, and determinative heart and center of the Church on earth. This isn't terribly surprising, given his Calvinistic pedigree, which he clearly takes seriously. He emphasizes doctrine and teaching, as well as church discipline and governance. Within this perspective, the Sacraments are divine ordinances, which are to be done because of their divine warrant; but, to whatever extent Keller considers them to be "means of grace," he does not deal with them or treat them as such in any significant fashion. Baptism is not dealt with as foundational, and the Holy Communion is not dealt with as central. Neither of these Sacraments, nor confession and absolution, is allowed to function in a normative way for ecclesiology, evangelism, or missions; they are relegated to a peripheral and secondary place. Similarly, the Liturgy is not dealt with as a divine work, service, and gift, but "worship styles" are treated as a transient matter, more as an aspect of cultural diversity and "contextualization" than of God's gracious dealings with His people through the Gospel. Surprisingly, given Keller's obvious acumen and scholarly approach in many other respects, he far too easily dismisses music to a category of neutral cultural phenomenon, without considering the objective character and quality of music as an aspect of creation. To suppose that all forms and styles and types of music are ultimately equal, and that differences among them are inconsequential, seems rather naive. This might be the best church ministry book I've ever read. It focuses on doing contextualized ministry in urban centers. It reads somewhat like a text book, however it doesn't bog down in tedium. It avoids rabbit trials (aside from perhaps the critique of the two-kingdoms model on pages 212-217). And it doesn't contain a hint of fluff. Chapters 14, 21, 27, and 29 are gold, and the rest of the book is silver refined by years of experience. So much girth, yet chock full of excellent ideas. My wif This might be the best church ministry book I've ever read. It focuses on doing contextualized ministry in urban centers. It reads somewhat like a text book, however it doesn't bog down in tedium. It avoids rabbit trials (aside from perhaps the critique of the two-kingdoms model on pages 212-217). And it doesn't contain a hint of fluff. Chapters 14, 21, 27, and 29 are gold, and the rest of the book is silver refined by years of experience. So much girth, yet chock full of excellent ideas. My wife and I are in the throes of revitalization, so this book, I'm sure, will serve us for many years to come. Thankful to Tim Keller for this amazing resource. 21: name for theological vision is "Center Church"
68: Edwards on "common morality" vs. "true virtue"
108–10: the Bible (see Rom. 1–2), which has a mixed view of culture, gives us a basis for contextualization; "The doctrine of sin means that as believers we are never as good as our right worldview should make us. At the same time, the doctrine of our creation in the image of God, and an understanding of common grace, remind us that nonbelievers are never as flawed as their false worldview should make them. "; re: culture, we balance between "critical enjoyment" and "appropriate wariness"
113–14: Paul's speeches all share similarities: they provide an epistemological challenge, a personal challenge, and a proclamation of Christ; "Paul does not feel an obligation to give the whole gospel picture to his audience in one sitting"
116: "we tend to turn neutral cultural traits into moral virtues" (e.g., punctuality); "To deny that much of our Christianity is culturally relative is to elevate human culture and tradition to a divine level and to dishonor Scripture"
Although the majority of Americans continues to self-identify as Christian, American culture is increasingly post-Christian. Evangelical Christians could once assume the broader culture agreed with them about the existence of God, the shape of moral living, and the usefulness of religious organizations This review originally appeared at InfluenceMagazine.com. I did not read this book cover to cover, but firmly believe that everyone involved in Evangelization (a.k.a. all Christians) ought to invest a bit of time absorbing what Tim Keller has to say. The more of his work that I read, the more I am convinced that he is the C.S. Lewis of our time. In my opinion, Keller hits a home-run when it comes to the philosophy of "church." This is not a nuts-n-bolts "methodology" book so much as it is a "theological vision" book. Any person who has a heart for people and for the church would benefit by its contents of church ministry, especially "city" church ministry. While reading this book on my Kindle, I highlighted 183 different paragraphs and/or sentences that contained nuggets of truth. Several items stood out to me while reading this lengthy In my opinion, Keller hits a home-run when it comes to the philosophy of "church." This is not a nuts-n-bolts "methodology" book so much as it is a "theological vision" book. Any person who has a heart for people and for the church would benefit by its contents of church ministry, especially "city" church ministry. 1. Keller's humility. Throughout the book, Keller stressed that there is no "single way" to do "ministry" and even proposed that different kinds of churches will reach different kinds of people and we need EVERY gospel preaching church to reach all of the people they can. This was refreshing to me. Instead of pointing out where everyone else is wrong and how he is right, he did not propose (and even was against the idea) a single "correct" method but appealed to what he termed as a "theological vision." 2. Keller's use of Scripture to support the philosophy found in the book was both thorough and on target. 3. Keller's study of "City" in the Bible. I have never done a study concerning what God has to say about the city. His section on "City Vision" was fascinating and convicting at the same time. It clearly showed how our society is coming back around to a time period much like the time period in the New Testament when cities were overwhelmingly the cultural centers of the world. In addition, he proposes that as we reach the cities, we will reach the world. 4. Keller's extensive use of additional authors (some who support his ideas/some who don't). I believe he is humble enough to realize that he does not have all of the answers and pulls from a variety of authors when speaking on different topics throughout the book. 5. The last section on "Movement Dynamics" pits movements against institutions. Not only does he define each, but he lists the positives/negatives of each and why it is good to have a mixture of both in each church. I loved so many things about this book. Although the section on different viewpoints of cultural engagement was a bit long/dry for me, he gave a good overview of the different strains of thought on this important topic. I loved the fact that he was adamant that a church ought to align itself as much as possible with other churches in the community to try and reach the community. He made it very clear that no matter how big a church is, it is not possible to reach all of the different people groups with that one church. This is one of those books that covers so much territory in theology, Christian ministry, devotional living, and ecclesiology that it's hard to put into one book review. I received this Kindle edition as an ARC from NetGalley, and although it took me some time to get through it, it was well worth reading every page. Keller has taken the time to fully explain how his ministry does church, his theological vision (as he puts it), and how to strike the balance between four different kinds of church This is one of those books that covers so much territory in theology, Christian ministry, devotional living, and ecclesiology that it's hard to put into one book review. I received this Kindle edition as an ARC from NetGalley, and although it took me some time to get through it, it was well worth reading every page. Keller has taken the time to fully explain how his ministry does church, his theological vision (as he puts it), and how to strike the balance between four different kinds of church models that are at work in most American (and even global) churches today. Even better than that, Keller is so easily readable that you feel like he's talking about your church, even if you don't live right in the middle of NYC as he does. 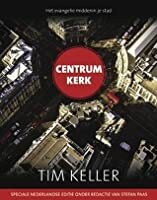 The great part of this book is that although Keller argues quite convincingly for the need of urban churches, his explanation and applications are by no means limited to urban dwelling ministries. I am reviewing the European version of this book, which I cannot find on goodreads. I really enjoyed Keller's ideas and insights, thoughts and visions and methods that he outlines in the book. They make a tonne of sense. However, I feel I actually lost something from reading the European version of this book. Europe is a vast and diverse place and an application of Keller's work in Germany, Poland, France and Ireland will not be the same thing. So many of these sections seemed redundant to me and I am reviewing the European version of this book, which I cannot find on goodreads. Great book on how to find a balance in ministry. I found his section the church and culture especially helpful. Keller does a great job of showing the merits and problems of all of the views, and provides a solution in moving forward. Overall, really good. Easy to read and digest. Keller's concept of 'theological vision' for ministry is great, and the stuff on contextualisation is very insightful. The section on 'The City' is pretty thin and could be left out without doing violence to this otherwise excellent book. Comprehensive, balanced and incredibly thorough. Simply the best and most compelling book I have ever read on the subject of church. Irrespective of 'tradition' this is essential reading for any church leader. This book will become a modern classic. Fantastic resource. Though I have no pastoral experience to compare his ideas and strategies with, I still found it incredibly helpful to think through general ministry in an urban environment. Been chipping away at this one for a while now. Really great! I think every church planter, church leader/elder/pastor should read this one. Best philosophy of ministry book I've read. A must read for all pastors, elders, and lay-leaders. I'd gladly recommend this book to anyone in church leadership even if you aren't located in a city or consider yourself missional. Center Church challenges the reader to think constructively about serving the Lord by serving the people the Lord has placed us among. Consistent with the rest of Keller's writing, this book is intellectually rigorous, penetrating in analysis, and honest towards other points of view. Center Church is more in quantity of all those things than most other works in the s I'd gladly recommend this book to anyone in church leadership even if you aren't located in a city or consider yourself missional. Center Church challenges the reader to think constructively about serving the Lord by serving the people the Lord has placed us among. Consistent with the rest of Keller's writing, this book is intellectually rigorous, penetrating in analysis, and honest towards other points of view. Center Church is more in quantity of all those things than most other works in the same category. My primary criticism is that Keller assumes that the Church should be influential in culture. He acknowledges that society's regard for Christianity (and/or Christians) experiences cycles, but he suggests that we should always be pushing towards greater influence in the communities and society we are in. The significant omission here is that Jesus never associated fruitfulness with influence in society (John 15:18—25). Even if Keller doesn't intend to associate fruitfulness and influence, the failure to make the distinction explicit is unfortunately hazardous. Amazingly comprehensive. Keller wrote the most balanced book I’ve yet to read on ecclesiology. Absolutely magnificent! It’s high in theory while being very grounded in the practical. It’s a little biased towards urban ministry (he tried to avoid it, but still, it is). Nevertheless, anyone in any context of ministry anywhere can glean so much from this book. He is not as Kyperian as I thought he was concerning the church’s relationship to culture. His summary of Niebuhr and Carson’s work on Chris Amazingly comprehensive. Keller wrote the most balanced book I’ve yet to read on ecclesiology. Absolutely magnificent! It’s high in theory while being very grounded in the practical. It’s a little biased towards urban ministry (he tried to avoid it, but still, it is). Nevertheless, anyone in any context of ministry anywhere can glean so much from this book. He is not as Kyperian as I thought he was concerning the church’s relationship to culture. His summary of Niebuhr and Carson’s work on Christ and Culture with all of his commentary on it is a major high light of the book, as well as the intro chapters concerning the Gospel in practical ministry practices and rhythms... it’s so good. It’s a mammoth of a book, more like a textbook really. But the principles in the text I will be continually referring to. The bibliography at the end of each chapter alone is so very helpful and is almost worth the price of the book. So much more could be said... but go and read it if you have not yet. Hands down the best book I've read on ministry (as of today 3/21/19). Keller does a great job getting under why we do what we do. He pushes for relentless balance in places where we would so often skew to one side or the other. One of the greatest insights is the that you can understand the people you differ vehemently with once you understand the underlying assumptions. This is a book that makes me wish I had a better memory. Needs to be read and re-read. He is also Chairman of Redeem Librarian Note: There is more than one author in the Goodreads database with this name.